Howard Schultz joined Starbucks in 1982 when there were four stores open in Seattle. Over the following three decades, he created one of the world’s most iconic brands, leading the company’s expansion to 28,000 stores in 78 countries. In this intimate fireside chat, Conservation International CEO M. Sanjayan talks to Schultz about his childhood in public housing, his socially minded corporate leadership, and his legacy of achieving profitability without sacrificing integrity. Howard Schultz is an American businessman. He was CEO of Starbucks from 1986–2000 and again from 2008–2017, as well as its executive chairman from 2017 to 2018. 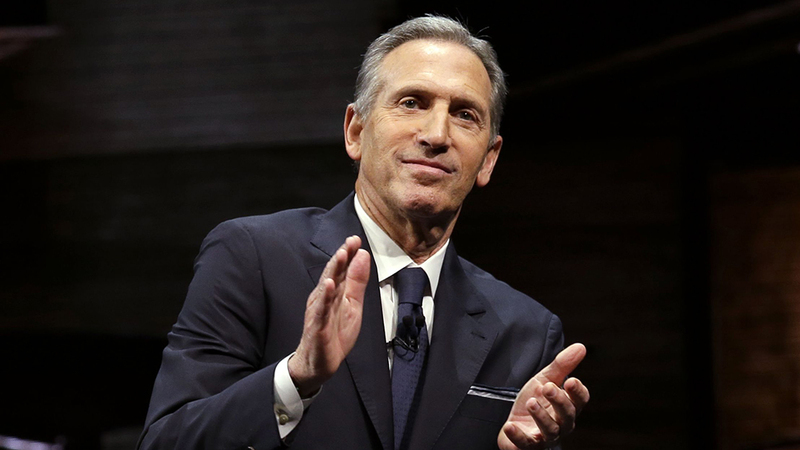 He is a former owner of the Seattle SuperSonics, and was a member of the Board of Directors at Square, Inc.
On December 1, 2016, Schultz announced his resignation as CEO of Starbucks, taking an executive chairman position, effective April 2017. He was succeeded as CEO by Kevin Johnson. On June 4, 2018, Schultz announced his retirement as executive chairman, effective June 26, 2018, becoming chairman emeritus, amid speculation he has U.S. presidential ambitions. In January 2019, speculation gained steam that Schultz was considering running as an independent candidate in the 2020 election; Schultz announced on January 27 that he would explore a bid as an independent candidate. M. Sanjayan, a global conservation scientist specializing in how nature preserves and enhances human life, serves as Conservation International’s Chief Executive Officer. Sanjayan joined CI in 2014 as executive vice president and senior scientist and has led several key divisions including Oceans, Science, Development, Brand and Communications and Strategic Priorities. 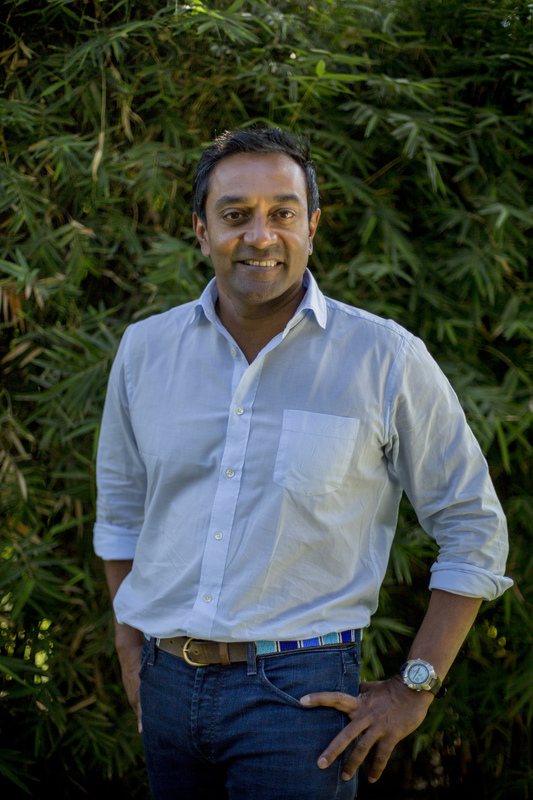 He has also overseen CI’s use of virtual reality filmmaking, which includes Valen’s Reef and Under the Canopy, and has led CI’s critically acclaimed brand campaign, “Nature Is Speaking.” Sanjayan holds a doctorate from the University of California, Santa Cruz, and his peer-reviewed scientific work has been published in journals including Science, Nature and Conservation Biology. He is a visiting researcher at UCLA and a distinguished professor of practice at Arizona State University. Raised in Southeast Asia and Africa, Sanjayan’s unique background and expertise has attracted widespread media coverage. His appearances include “The Today Show,” “The Late Show with David Letterman,” “CBS This Morning” and “CBS Evening News,” and he has hosted and cohosted a range of documentaries for PBS, BBC, Discovery and Showtime. Most recently, he hosted of the University of California and Vox Media’s Climate Lab series. Sanjayan is a Disneynature Ambassador, a Catto Fellow at the Aspen Institute and a member of National Geographic Society’s Explorers Council. He posts frequently from his expeditions at @msanjayan. [00:00:09] M. Sanjayan: You grew up in Brooklyn? [00:00:11] M. Sanjayan: You said you wanted to build a company that your dad did not have the opportunity to work for. Is that where that core value comes from? [00:00:19] Howard: Well, I think yes. The short answer is yes, but I think the backstory is I grew up in public housing, on the other side of the tracks. I grew up with a level of shame and embarrassment and vulnerability about what it meant to be poor. I had an incident when I was seven years old. My father was a World War II veteran, came home, didn't take advantage of the GI Bill. He was just an uneducated laborer and had a series of very bad jobs. In 1960, he was a truck driver delivering and picking up cloth diapers. That was his job. He fell on the sheet of ice and broke his hip and his ankle, and he was dismissed as a blue collar worker in 1960 with no health insurance, no workman's compensation. I witnessed at a very young age, which imprinted me, the fracturing of an American family with no hope and lots of despair. I sit here before you still with those scars and vulnerability and fear of failure and all the things that shaped a young boy at that time. In terms of Starbucks, what I was really attempting to do in 1987 when we had 11 stores and 100 employees and no money, was I wanted to build a different kind of company and in a sense, build the kind of company that my father never got a chance to work for because he was not respected in the workplace. I wanted to create the dignity of work. [00:01:53] M. Sanjayan: But before you got there, you had to buy the company. [00:02:02] Howard: I did, yes. I'm very impressed that you've done all this homework. I want to tell you that. [00:02:08] M. Sanjayan: You've gone and-- There's a great story about someone who stepped into your life at that time. It gave you a break. [00:02:39] Howard: I told this story. I'm going to try and be very quick. Starbucks had acquired a coffee company called Pete's Coffee Company in 1986 or so. They got into financial trouble and I was an employee of the company. The founder came to me and said, "We're in financial trouble. I'm going to move to California. I'm going to keep Pete's, I'm going to sell Starbucks. I want you to be the owner of Starbucks." I was thrilled. The purchase price was $3.8 million for six stores, but I had no money, nothing. He said, "I'll give you 60 days exclusive to go out and raise the money. "He came to me about the end of month one and he said, "How are you doing?" [00:03:26] Howard: I don't know. [00:03:28] Howard: I said, "I've got about half of it raised. I'm sure I'm going to find the money." Then, he laid this on me. He said, "We have an unsolicited purchase for the company for $4 million, no due diligence." I said, "But you gave me an exclusive." He said, "One of your early investors of the other coffee company that you started has gone around you and-- But I'm going to have to take the money if you can't raise it." Here's the issue. This guy was a titan in Seattle. He was larger than life and so successful, and I was this kid who had a dream. I knew that within 24 hours this thing was going to be over for me. That night I told my friend who was a young lawyer exactly what I just told you, and he says to me, "Come to our office tomorrow morning and meet our senior partner." At this point, I would have met anyone. I said, "Okay. Who is it?" He said, "Bill Gates Senior." [00:04:33] Howard: I never heard of Bill Gates Senior. [00:04:40] M. Sanjayan: Bill Gates must've come from somewhere. [00:05:27] Howard: -and I came back in two hours. I walk into his office and he says, "We're going to go for a walk." I say, "Where are we going?" He says, "We're going to go see the man." We literally walked across the street, my heart was in my mouth. We walked in, I don't know if he called him, I don't know if there was an appointment, I don't know anything. We walked in into the guy's office, Bill Gates, all six foot, seven, six foot eight, towers over his desk and says, "You should be ashamed of yourself. This is not going to go down. You are going to stand down. This kid is going to realize his dream. Do you understand me?" I was thinking to myself, "This must be how things get done." [00:06:17] Howard: We walked out, we literally walked out, and I said, "Mr. Gates, what just happened?" [00:06:27] Howard: He said, "You're going to buy the company, and my son and I are going to help you." Here's the thing. He never told a soul. No one. A year and a half ago, I'm telling this story at the Microsoft summit. Bill Gates has never heard it. I get off stage, and Phil says to me, "Who was it?" I tell him, "Anyway." I've never revealed the name of the person because the family lives in Seattle. Bill Gates saved me, saved Starbucks, was a mentor and an angel with great humility and never told a soul how he helped me. [00:07:18] M. Sanjayan: Is that this serendipity, divine intervention, is it your trip to Milan? Do you think that these things sometimes happen where you have these moments that just happen in your life? How do you pay that forward? [00:07:32] Howard: Well, if I took you to where I grew up, in the housing projects of Brooklyn, to this stage, the odds of getting from there to here are virtually impossible. [00:07:48] Howard: I want to say something that is not tried. I really believe in it. My story and many of your stories can only happen in America. [00:07:58] Howard: Despite the vitriol and the hate and the fear mangling, it can still only happen in America because we're going to get through this. [00:08:12] Howard: The question about paying it forward, all along the way thinking about my dad, my background, Starbucks has done a number of things that were very unorthodox, and again, not in the interest of only making money. [00:08:30] M. Sanjayan: You say, when you tried to make decisions, you try to imagine two chairs. Tell us about who is in the chairs. [00:08:37] Howard: You're shocking me. [00:08:43] M. Sanjayan: Because it provides a nice frame. [00:08:46] Howard: Thank you. For the last 40 years, we've had a Monday morning leadership meeting, and for the last 40 years we've had a quarterly board meeting. In every one of those meetings, metaphorically, I've had two empty chairs in that room. One filled by a Starbucks employee that we call a partner and one by a customer. What I've tried to do with those two empty chairs is to ensure the fact that every decision that the management team was making every Monday and every decision that the board was making on behalf of the shareholders every quarter was literally going to make our people and our customers proud. [00:10:01] Howard: Thank you. Everyone became an owner of the company. Even today in the form of equity, in the form of stock options, 14% of people's base pay. Then, three years ago, perhaps what I'm most proud of is that with the partnership of ASU providing free college tuition for every single Starbucks person. [00:10:26] M. Sanjayan: I have to tell you a story which I've never told before. About six months ago, I had the chance to travel with the Starbucks team to Costa Rica and meet Howard there. On my flight to Costa Rica, it's an overnight flight. We're flying into San Jose, Costa Rica. There's a kid sitting next to me, a young man. As the plane is landing, he taps me on the shoulder and he says, "Do you work for Starbucks?" I thought that's weird. "How do you know?" He said, "Well, I just saw it on your phone there, I saw the logo." I said, "No, I work for Conservation International, that's the logo." [00:11:35] M. Sanjayan: -and I didn't know that. I'm on this plane and I'm literally going to land, and the next flight, the next morning I'm going to fly back." [00:12:05] M. Sanjayan: -Howard's opening a farm. This is the first farm Starbucks has ever bought, right? [00:12:09] M. Sanjayan: Hacienda Alsacia, amazing place. Experimental farm. They're trying new breeds, new varieties, how to grow coffee better more sustainably. All these dignitaries there, Howard makes a speech, he's wearing a gray suit. [00:12:21] M. Sanjayan: Nate's there. I said, "Nate, do you want to meet Howard?" He was like, "Yes, I would love to." Nate comes up there, and Nate's got a cup of coffee in his hand because we've just done a tasting. He's holding a cup like this. Howard puts his hand out, and Nate goes like that. [00:12:38] M. Sanjayan: The coffee goes on Howard. Howard doesn't miss a beat. Nate said, "I'm so sorry, sir. I'm so sorry." He's like, "It's fine. I've had lots of coffee spilled on me." [00:12:48] M. Sanjayan: Then he engages with Nate. He starts talking to Nate as if he's the only person in that room. I saw that, and I saw what you meant about treating your people as partners. It's a very hard thing. [00:13:04] M. Sanjayan: In 2007 or 2008, you have to correct me on the date, when the financial crisis hit, stock market collapses, people out of jobs, companies are downsizing, hard for us to raise money, you come back to Starbucks as the CEO and chairman. You always had the chairman role, but you come back as the CEO, and you're under pressure to cut things. You do two things in that time frame which don't exactly equate with cutting things. One is, you start talking about healthcare for all the employees. The other thing is, you get heavily into sustainability. That's when you signed this agreement or partnership with CI that provides funding for climate work that we do. You must've been under pressure to not think about what now is called corporate social responsibility and just focus on the bottom line. Why do it then? [00:14:00] Howard: Well, 2007, 2008 was a cataclysmic time in the country and in the world. Starbucks also had made a number of self-induced mistakes, and the company found itself in tremendous financial trouble. In less than a year, people didn't realize it, facing insolvency. I want to say I was not the CEO there at this period, I was the chairman. Even though I wasn't the CEO, I was culpable for some of the problems because I wasn't paying attention. In fact, when I came back in '08, there wasn't a lot of cheering among Wall Street people to bring me back, because they thought I was part of the problem. I came back because of my love and responsibility to our people and our families, to try and heal the wounds of the company. I tried to do a few things. Going back to making people proud, what I'm really talking about is the fact that the foundational structure of any organization that is going to build something that is going to endure is culture, values and guiding principles. It's very easy to embrace the culture, values and guiding principles of a company when you have the wind at your back, because it's very convenient. [00:15:22] M. Sanjayan: When things are going well. [00:15:23] Howard: When things are going well. The hardest thing for all of us to do is to really stand up for what you truly believe in when you have the wind in your face and you're facing significant challenges and people who are skeptical and cynical about what you're trying to do. The first thing I'd say is that I think you have to ask yourself and write it down, what is your core purpose and reason for being? I think that has to be cemented into the company's culture so everyone in the organization has a individual and a collective understanding that this is our core purpose and this is our reason for being, regardless of what happens. What happened in '08 is we were tested with what is our core purpose and reason for being. What I decided to do was we had to embrace and have faith in the culture and values of the company, which meant, let's go back to the core principles of who we are and what we do. We have to exceed the expectations of our customers, but in order to do that, you have to exceed the expectations of your people. You have to build trust and confidence with every constituency. Well, I felt strongly at the time that there was a need to remind people about our company's commitment to the environment, to sustainability and doing things that demonstrated what our conscience was as a company. This all came about when I decided to close every single store for an afternoon to retrain our people on the fundamentals of coffee, customer service at great cost. Then, there were 11,000 store managers and I said, "I need an opportunity. I need to be in front of 11,000 store managers." People said, "Well, that's going to be impossible. It's too costly." At that time in America, no one was traveling. Three municipalities came in and pitched us about coming to their city. The second one that came in came in with basically a marching band from New Orleans. It was really something. It was right after Katrina. In the presentation, the head of the chamber of commerce started crying. Literally crying, and said, "If we don't get you to come, so many people in New Orleans are going to suffer because we desperately need the revenue from your meeting." We knew immediately that culturally we had to go to New Orleans. We took 11,000 people to New Orleans at the cost of $33 million of housing, planes, food, everything. We really didn't have that kind of money. There was a tremendous resistance amongst some shareholders and the board. The question was, "What better opportunity, what else should we do other than to invest in our people when this is going on?" The equity of the Starbucks brand is not based on advertising and marketing, but the experience. That experience comes to life by our people, so we had to remind them, we had to rekindle the spirit and culture of the company. The first day in New Orleans, we went into the 9th Ward and we committed 50,000 hours of community service. Then, over that three-day period, we had a meeting. On the third day-- I know this is a long story. [00:18:48] M. Sanjayan: You were doing this, right? You were [unintelligible 00:18:49]. [00:18:59] Howard: -to 11,000 people. This was another lesson. I think there's things about leadership and you are all learning, constantly learning, but you don't know when you're going to learn a lesson or who you're going to learn it from. I usually do not give a formal speech, I have an outline. My colleagues, an hour before I go on stage, said, "What are you going to talk about?" I showed them a little bit and they were freaking out. They said, "You can't--"
[00:19:28] M. Sanjayan: In the front row there, I think they're freaking out right now. [00:19:30] Howard: Yes. "You can't share this information with 11,000 store managers. You're going to scare the hell out of them." The question is, at a time of crisis, when you're the leader and you're asking people to really believe in you, believe in the dream, the aspiration, believe in the journey that we're all on, how could they possibly be part of something larger than themselves if they don't have the same information that you do? The question in front of me was, do I trust our people enough to share this information? I went out unencumbered and in an unvarnished way, I told the truth. I said, "We're seven months away from insolvency, and if we continue on this track, you and your families are going to be out of a job and your families are going to be hurting. This is what we need to do individually and collectively." It wasn't the speech that turned things around. What turned things around is everyone facing in the same direction, everyone having the same level of information and everyone understanding their personal responsibility to the mission and what we had to accomplish. We rolled out of New Orleans like a tidal wave and things got better, we improved, and Starbucks would not be here today if the situation in New Orleans did not turn the company around. It wasn't my speech, it was people believing in each other and believing in the company. [00:21:08] M. Sanjayan: I want to ask you about two different commitments that you made, I think one in 2013 and one in 2017. In 2013, you made this commitment to hire 10,000 veterans. [00:21:23] M. Sanjayan: Then, in 2017, just as President Trump banned seven Muslim countries from coming into the United States, you make a commitment to hire 10,000 refugees. [00:21:39] M. Sanjayan: In some ways, these are really different acts. How do you see those, and how do you balance those two out in your mind? [00:21:47] Howard: There are different acts, but they're threaded in the same kind of constitution. That is, what do we stand for, what kind of company do we want to be and who are we as people? I think the elephant in the room of the country today is humanity. [00:22:11] Howard: I'm so concerned about the conscience of the country, the level of hate coming out of the government and this president, but we all know we're better than this, and we all know that we're not as divided and we don't hate each other despite what's on cable news. The issue about veterans and refugees are this. I was blessed to be able to have Secretary Gates and Senator Bradley on the Starbucks board for these many years. Secretary Gates personally educated me about what was happening with post 9/11 veterans who were coming home, but also there was something else about that. I was embarrassed at the time, and sharing it with you, I hope you'll understand the humility in which I'm saying this. Less than 1% of Americans had any skin in the game over the last 20 years or so with the war in Afghanistan and the war in Iraq. That is that the majority of Americans that were serving represented about 1% of America's population. As a result of that, most Americans did not have the empathy, the compassion or the understanding of the sacrifice of these extraordinary young men and women who are wearing the cloth of the nation, and their families. Then Secretary Gates told me that a million plus young people are coming home and that not only are they not coming home with a parade, but no one understands what they've been doing, and they're not prepared, they're not fundamentally prepared for the transition. Starbucks, our family foundation, got very heavily involved in educating ourselves about the situation. I was at the joint base in Tacoma, Washington, and I was sitting in a focus group of young warriors, some of whom were coming out of the army, and someone said something which I will never forget. He said, "I have more anxiety and trepidation about going on a job interview than I would if you sent me back to Iraq." When I started getting into that, I realized these are extraordinary people who not only have sacrificed so much, but their talent, their integrity, their leadership skills, their understanding of the mission. That these were great people if we could bring them into our company and we can set up transitional job training on bases, and we can also build stores near bases to help them and their spouses. We decided that we were going to go out and hire veterans and spouses. The secondary goal, which we didn't plan on, was that the culture of Starbucks Coffee company was enhanced by people working alongside a veteran or a spouse of a veteran because of what they represent. We got a lot of credit for that, but the truth is we've gotten so much more than we've given. This was an easy thing to do. Then we had this extraordinary concert on the National Mall with about 700,000 people, and everyone I asked came, and we celebrated on Veteran's Day to elevate the national conversation about the role and responsibility that we as Americans have to honor the service of not only people who had been wearing the uniform, but most importantly when they take it off. [00:25:48] Howard: The issue with refugees was, 24 hours after the president announced that, which I thought was so dehumanizing and against everything that I think is representative about the values and the idealism of America, I decided not to do something political, but again to speak to our people. Our people are always watching, just like everyone in this room. If you have employees, you work with people, we're all watching to see what the enterprise or the organization stands for. I felt strongly we needed to stand up for the refugees who are being denied, and do what was right for the country and do what's right for them. I think the issue around immigration today is a tragedy, a real tragedy. If the Republicans and Democrats would leave their ideology out of the room and were not based on self-interest, this is a problem that could be solved very easily with securing the borders, with doing the right thing for dreamers and creating a legal fairway for the 11 million unauthorized people who are here to get citizenship. [00:27:07] M. Sanjayan: I wanted to stay with that because you talked about the division in this country and a topic that I care so much about, climate change. The future of our planet, we have eight, maybe 10 to 12 year window. It doesn't mean the world is going to blow up in that time, it just means that what we do now will fundamentally change whether we land here or we land here. Fundamentally change that. It's this narrow window and we've got to act on it now. When we met in Costa Rica, you talked about just coming back, I think, from Miami, and what you had seen. When we got into this conversation you said, "Well, what about West Virginia? What do we do when I have to go to West Virginia, coal country, and talk to people about that? I have a small cabin in Granite County, Montana, and I'm probably the only one who drives a hybrid car in that county. I'm sure of it." I feel that tension. These are folks who have been completely left out of what we all take for granted. The Uber, Facebook, Google economy. How do you get to those folks who are good people, trying to do the right thing and trying to survive, trying to make sense of climate change, what it's doing to their land. They're mostly fearful of being left out of something that they can't even access. [00:28:27] Howard: Well, let's start with the most important aspect of your question. The planet is in great danger and we have a extraordinary opportunity to rewrite the wrongs that have been going on for many, many years, that are fracturing the role and responsibility of what we all must do to preserve and enhance the planet. The fact that we pulled out of the Paris Accord it's an anathema to me about leadership and what is right and what we must do. As a result of getting out of the Paris Accord, I think we now have a greater responsibility as individuals to do everything we possibly can every single day to make sure that we're doing the right thing for the future of the country, the future of the world and the future of the planet, that's A. [00:30:08] Howard: -because that is a significant bridge towards learning, towards overcoming the fears of not knowing things, and opportunity. That's it. It's very difficult to sit down with a group of miners, as I have, and talk about climate change. It's not the subject that we should be talking about with them. It's a subject that's important, but what we should be talking about is what do we do to create the mechanism to retrain them, and what do we do to create a level of hope and opportunity so they once again believe in the promise of the country. The problem we have is that we have 42% of American households today that don't have $400 in the bank, and we have millions of Americans who are unbankable, that do not have access to a bank. [00:31:00] M. Sanjayan: Sorry, what do you mean by unbankable? [00:31:02] Howard: They have no credit card, they go to places where they're charged high fees to cash a check. They're unbankable. The reason I'm telling you this is because there is a significant divide in the country, I'm not talking about a political divide, in the millions of Americans and million families that are being left behind, that do not have access to the dream of America. Now, the last thing is, there's about five and a half million young people in America, African-American and Hispanic over 50%, that are not in school and not working. These talented young kids, and if they don't get a first job at the age of 18 or 19, they slip into the cracks and end up doing things that are going to create real problems for them in the future. The issue and the question is not what do we do with regards to people living in rural America to educate them about climate change? We can't talk about climate change with them until we create for them an understanding about access to opportunity, retraining, education, affordable health care and all the complexities and the issues that are drowning the economics of people who have lost hope in the country. We have an obligation, a real obligation as citizens, to ensure the fact that we are providing the resources and the opportunity for everyone. Now, with that comes personal responsibility. That's on them, and that's a whole nother conversation, but I don't think you can jump to climate change in West Virginia with people who are suffering as a result of a loss of job, loss of opportunity. When you sit with these extraordinary people, and they are extraordinary, they've done so many good things, they've lost hope in the country. It's our responsibility to restore that. What we have to restore is the values of America, the idealism of America, and reaffirm the promise of America for people who have been left behind. Not only left behind in the last two years by Donald Trump, they have been left behind by a political system that has not worked for them. [00:33:19] M. Sanjayan: Speaking about values, I haven't asked you this before and I'm curious to hear really what you have to say personally about this. I think we were all shocked, certainly, when a video emerges earlier this year, you were still chairman, if I'm right, in Pennsylvania, in Philadelphia? [00:33:39] M. Sanjayan: Of two African-American men being harassed, is my words, by a Starbucks employee who then calls the police on them. The video goes viral, I'm sure lots of us in this room have seen it. When you saw that, after 30 years of trying to instill the sense of values, what did you feel? [00:34:02] Howard: I'm glad you brought this up because I think it's important not only to talk about things that we've accomplished, but things that we've had to overcome and mistakes that we've made and challenges that we have because we're not a perfect company. I was in disbelief, and I was ashamed and embarrassed as soon as I heard about the incident and saw the video. I rushed to Philadelphia to try and understand at the ground level what took place. Let me explain everything, and what we did, and the incident. 100 million people a week come through Starbucks stores. Over the last number of years, Starbucks stores by default have become a public restroom, and because of mental health issues and the crisis of mental health and the opioid crisis, we have things going on in bathrooms that we never planned for, we didn't have policies for, and our people are just trying to do a job and they're not trained to navigate and deal with certain situations. The first mistake is, we did not have a good, firm policy as to what to do when someone says, "Can I use the bathroom?" The policy was loose and we give a lot of authority and leeway for the manager to professionally answer the question and do whatever's right in the store, whatever it is. In this particular case, many managers across the country had a policy that said, "Well, if you want to use the bathroom, you have to buy something," but the truth of the matter is, many managers just gave them the key or the code. A manager in Philadelphia who was from Ohio, a white woman, these two gentlemen came up and they said, "Can we use the bathroom?" She said, "Have you bought something?" They said, "No." "Well, if you buy something, you can have the key." Within a few minutes there was an exchange, and the exchange wasn't a positive exchange. The woman, the store manager, got very nervous and very anxious, and all of a sudden she decided, "I'm in danger." She wasn't in danger. She called 911 and she said, "I have two men who won't leave the store," because she asked them to leave. They were waiting for someone to meet them at Starbucks, like many people who have meetings at Starbucks. Within minutes, six police officers showed up. Within minutes. Within seconds of their arrival, they handcuff these two guys. They arrested them, and she was yelling, saying, "No, I didn't ask you to arrest them. I just asked you to make them leave the store." Someone videotaped it, and all of a sudden within, I would say 10 to 20 minutes, 11 million people had seen the video. We had a unbelievable social crisis on our hands. What happened? We had significant protests and almost riots in the street in Philadelphia. We also were trying to diagnose the problem, how did this happen and what took place. Again, when you are leading an organization and there's a problem, the worst thing you can do is blame people or shame them. The best thing you can do is try and understand the situation, solve the problem and learn from it. In a private discussion with the manager, trying to ask her what happened, I basically asked a very simple question. I said, "Just between you and I, if they were white, would you have called the police?" She paused for a few minutes and finally she said, "No, I would not have called the police." Now, she had an incident a couple of months back that gave her a level of anxiety and maybe even some fear and trepidation and unconscious bias about African-Americans. [00:38:51] Howard: -and they all do a great job. Their job is to protect the company, and in this case protect me. Lawyers are saying, "When you get on TV, there's certain things you cannot say." "Really?" [00:39:07] Howard: I go, "Let me tell you something. When I get on TV, there's certain things you cannot say. I'm going to do the interview. I understand my role and responsibility as a fiduciary, but I'm going to do what I think is best for the company." Gayle King asked me a question that the lawyers, I think, did not want me to answer. Gayle King said, "Do you think, Howard, this was racial profiling?" This is a moment of truth, and I have an army of Starbucks people watching me, and they want me to say probably, "I'm not sure." I said, "It was racial profiling," because it was. [00:40:04] Howard: We are living in a time right now, we are longing for truth, longing for authenticity, longing for leaders that make us feel better about how we are and how we're doing. I think we all have an opportunity every single day to speak the truth, not only to power, but to one another. [00:40:34] M. Sanjayan: To be honest, I'm surprised they even let you meet the person. The first line of defense would have been, "Don't talk to the store manager yourself," but you then took this unprecedented step which you had done once before when you shut down every store in order to reinvigorate your team to understand what it looks like to make espresso to your standards. You then shut all the stores down for half a day. We know that. I walked down to Starbucks and it's closed that afternoon. What happened in the store? [00:41:31] Howard: -but let's go back to what is your core purpose, and what's your reason for being. Our core purpose is to exceed the expectations of our people and our customers, and build a great, enduring company that people trust. We decided as a team that we needed to significantly educate and sensitize 200,000 people regarding unconscious bias, which by the way, unless you're perfect, I would probably submit that everyone in this room, everyone, has some degree of unconscious bias about something. [00:42:18] Howard: Immediately, when we were starting formulating this plan, everyone jumped in, inside the company, pundits, shareholders, saying, "This is a PR stunt." Everyone just really destroyed the intent of it. The easiest thing would have said, "This is not going to turn out well, let's move away from it." We said, "No. We're going to go out and we're going to find experts who could help us with the curriculum." The most important person that I know in America that stands above reproach in terms of understanding race and racism is Bryan Stevenson. [00:43:00] Howard: I called Bryan and I said, "Bryan, we got a real problem. I need your help." He said, "What can I do?" He, Sherrilyn Ifill who runs the NAACP Legal Defense Fund, and Heather McGee, along with one of our board members who is an extraordinary woman name Mellody Hobson, they came together and helped us create a curriculum that would really be bulletproof and stand above reproach. We created a curriculum for that day, and then we said, "We will do this at least every quarter and almost every month because of attrition, and what we have to do." Everyone at Starbucks, baristas, store managers, executives, board members, everybody went through it. I think it helped us understand unconscious bias, helped us understand words matter and language matters, and also helps us to understand the fear that people have in the unknown. The unknown is dealing with somebody who is inconsistent with your own level of life experience. We did that, we open the stores, our business went down for about three months after that because people questioned the intent of Starbucks, and is this a company we can trust. African American partners of Starbucks were questioned by their families, their friends, "How could you work for a company that did this?" We had a lot of work to do to try and make sure that we are who we said we're going to be. This work is not something that could stop, and it's very possible we could have another problem, because we're dealing with 100 million people and all the issues around the human condition, but I know that our heart's in the right place and we're trying to do the right thing, but human error and human issues are hard to do, and we are a people-based company. [00:45:09] Howard: We had to act within 24 hours. [00:45:13] __M. Sanjaya__n: You had no doubt in your mind that you were going to close those stores? [00:45:15] Howard: No, I had no doubt, and I say this glibly. I don't mean it like that. I did not ask for permission, I asked for forgiveness. I knew we had to do this, I knew it was the right thing to do, I knew it's going to be incredibly expensive. I didn't think it was going to cost $50 million. [00:45:35] M. Sanjayan: [chuckles] I want to read something to you here. For those of you have not seen it, when Howard left Starbucks, and he stepped down as the chairman in June, he wrote a note to all the employees, all the partners of Starbucks. I read it and I loved it so much I sent it to my leadership team. It's a message from Howard Schultz to partners. In there, he tells the story about this, and he says-- I'm just going to read you a couple of lines here. He says, "Change is inevitable and the world becomes a more fragile place since we opened the doors." You say, "Do not be a bystander. No company, no person is ever perfect, so learn from mistakes, and be forgiving of yourself and others." You say that success is not an entitlement. It must be earned every day, and success is always best when shared. It's an amazing letter. You should read this letter when you get a chance. One thing that struck me about this letter, it's three pages long, and he uses the word "love" seven times. What does love mean to you? [00:46:52] Howard: I don't have an MBA and I don't have a business degree. The language that I've used all my life to describe the aspiration we have as a company, and what I was trying to do, has always been steeped in love and humanity. I've used that word a lot. I think when I've told male colleagues that I love them, I think at first they say, "What?" [00:47:33] M. Sanjayan: You can say that in the summit community. [00:47:37] M. Sanjayan: Everyone tells you, it's very true. [00:47:40] M. Sanjayan: It's okay here. [00:47:53] Howard: -but I think I've linked love to what does it mean to love something and there is possibility that goes with it. The responsibility is to preserve and enhance this gift, this privilege we have to be part of something that we call Starbucks. Also, I want to shift it to the country and say, the gift, the privilege, the freedoms, the democracy we have in America, and I say this, it's not an entitlement, and I think we are living through a period right now where it's being tested. We have a crisis of democracy, even a crisis of the Constitution, and it's not an entitlement.